Altius attends the X2 Fair in Hua Hin (Thailand), for the second year in a row. Altius has added this new network, to which it now belongs, mainly to its Cold Chain, Time Critical, Elite and Projects divisions at every branch in Spain and serveral branches in Latam. Our colleagues Salvador Corrales, Projects General Manager; Emilie Lienard, Pricing Department Mexico; and Humberto Varela, Pricing Department Spain, who appear in above photograph, have been working hard to open doors and create new business opportunities for Altius. 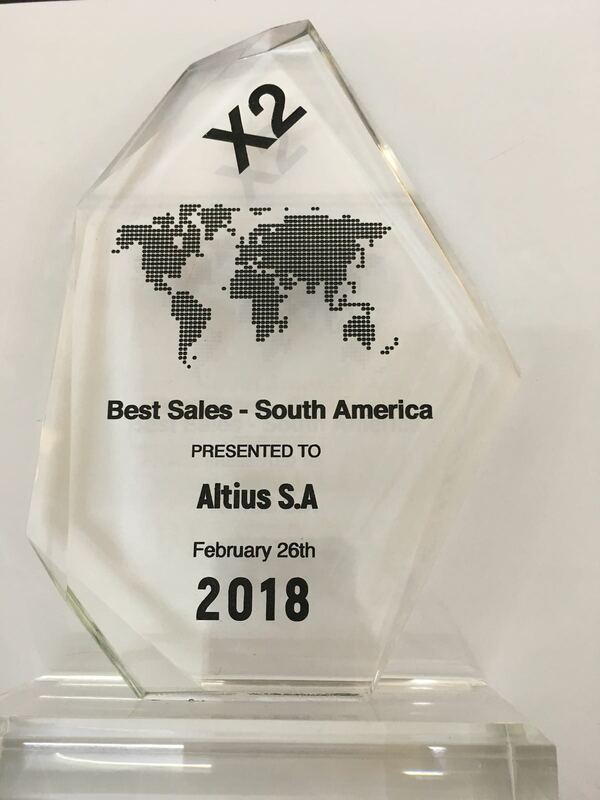 Altius was presented with the Best Seller Agent in Sout America award.